By their own admission, the Federal Reserve has been buying 90% of all newly issued U.S. Treasuries. That amounted to $85 billion per month up until the end of 2013. 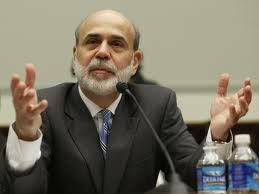 Bernanke: A more straight-forward liar than Greenspan. Their plan, as Bernanke so confidently states, is to “taper” the buying from $85 billion per month down by $10 billion each month until they reach zero by September of this year. The Fed is by far the dominant buyer of U.S. debt, and now they’re going to completely pull out of the market. They don’t expect any disruptions in the market? Let’s use this analogy… Picture a beach house that’s propped up on stilts. If you remove one stilt each month, it makes sense that eventually the house will fall. The fact is that no investors are interested in supporting the bond market along with the Fed by buying U.S. government debt at these all-time low rates. So if buyers of U.S. debt are not very interested in loaning their money to our government at 3% for the next 10 years, what interest rate would they require in order to be attracted? Would they be interested at 4%? Or would it take 5%? Higher? And I don’t think the Fed wants to find out. You can bet your rent money that President Obama doesn’t want to know. If interest rates were to shoot up another 2%, that would cost the government $500 billion in interest costs every year, up from $255 billion currently. Our government already has enough budget problems. Can you imagine if you’re the President and you’ve promised a new healthcare system, extended unemployment benefits, or a “Preschool for All” program only to be told by your cronies that you can’t afford any of it because interest costs doubled? The Fed will do whatever it takes to keep interest rates at an affordable level for our government. And it will continue to buy our government debt, no matter what it tells the American public. Am I accusing the Fed of purposely deceiving the American public on the reporting of their activities and intentions? The Fed is a private institution that does not voluntarily disclose any audited financial information. It literally took an act of Congress in 2011 to get a one-time only peek at their books — at least what they allowed us to see. The Fed fought the audit tooth and nail via puppets like all-world idiot Senators Christopher Dodd and Barney Frank. In the end, the Fed got to keep most of their activities secret. But the GAO audit showed us enough. What that one-time look at their books showed was that they were lying to us. The Fed told us during the financial crisis that the TARP program loaned out roughly $800 billion to U.S. banks in order to prevent a financial collapse. In fact, they loaned out over $16 trillion dollars!! And not just to American banks. They surreptitiously shoveled out trillions of dollars to foreign banks as well. A few trillion here, and a few trillion there – before long it starts to add up to real money. Forbes magazine lamented the media’s under-reporting of such an enormous travesty, most of which the public has not heard of. The Fed is not here to help you. It doesn’t bail out banks in order to save the American public's pathetically small checking accounts from being wiped out by irresponsible bank autocrats – they could care less about your money. So what does the Fed want? It already has money, and the ability to print as much as it wants. It’s here to keep and aggregate power – power for itself and for its political allies. And it did a wonderful job of centralizing its power during the last crisis. The fact that it loaned out money to foreign corporations says that the Fed sees itself as the world’s central bank, and you can bet that it will be calling favors on a global basis in the future. There’s one small problem with this. With each dollar it creates out of thin air to loan out to its friends, it dilutes the buying power of the dollars that already exist. In a short period of time, the Fed created and loaned out more money than the total GDP of the U.S. This shows total disregard for the value of our money. And that’s why they’ll keep printing money out of thin air and buying treasuries “on the down low”. Sure, they’ll admit it in the years to come, after this has all blown over. But then, what could go wrong with an enormously powerful institution that has no oversight, few internal controls and has a history of lying to the public? Just ask Enron, Tyco, Lehman Brothers, Fannie Mae or Bear Stearns. If you haven’t bought financial insurance yet, it’s not too late. But like any insurance, if you wait until you need it – it’s too late. 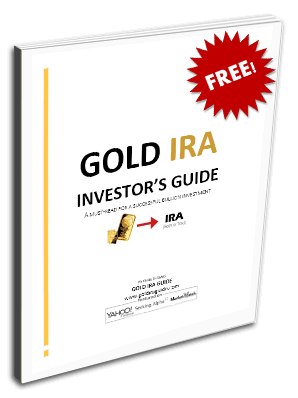 Get some gold now.